We offer much more than the typical fulfillment company! 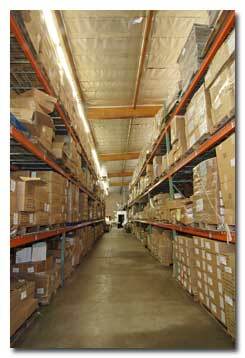 We provide numerous other fulfillment related services to our clients. Some of these services are done in-house and others we can coordinate with our preferred vendors. Click on the service below to find out more information about each service. Do you need help processing your account receivables? 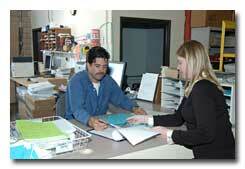 We have the bookkeeping staff necessary to keep the details straight and your receivables accurate. Lose the headaches, we'll take on your account receivables and let you focus on selling and marketing! Do you need extra marketing push? We have the contacts to help you promote your products with Google AdWords, Yahoo Sponsored Search, and Microsoft adCenter. Use the power of the Web to help get your product more exposure and generate more sales. Contact us for more information on how pay per click advertising can work for you. When you need bar codes created for package bags, merchandise tags, or price tags, we have the computerized software to create the tags for you and can send them to the factory or resource who will be applying them. If you need us to bag your merchandise and apply the bar coded tag or label, we can provide that service as well. We can create, update, and maintain customer lists, warranty information, product information, pricing, SKUs for your online store, or mailing lists. Just ask us about our database management services that we routinely provide for other clients. We have the equipment to provide small quantity CD and DVD duplication services. Why order a truckload? With our services, you can order just a month or a few weeks ahead and we can quickly replenish your stock on an as needed basis with our new small quantity in-house duplication services. Are you ready to move your store or business onto the Web? We have the technological know-how to get you on the Web fast. If you already have an online store, we provide e-commerce management. We'll batch and process your orders, handle your credit card processing, and even place reorders for your stock to keep your online Internet store operating at peak performance levels. How many times have you requested information at a trade show and not received anything because the sales staff was too tired or simply too busy to get it out to you in a timely fashion? Don't lose the momentum with those important sales leads you worked so hard to make. Trade show follow-up doesn't need to be a chore! We can do the follow-up on trade show leads for you. Have your personalized follow-up letter and material on your prospects' desk almost before they get back to the office with our special literature fulfillment services. We also can also arrange to store and ship your trade show materials to your show sites ahead of you or can drop ship your orders taken at the show. Just let us know what works best for you. We are the flexible fulfillment house! It is important that your product be packaged in the most appealing and efficient manner to maximize your sales. We have experts available that can design your packaging at reasonable prices. We know that it needs to look good, but to ship well and protect your merchandise adequately. Don't make a mistake and create packaging that won't protect your product in shipping. Ask us first, we can test your packaging for industry shipping standards before you order in bulk. Medallion Fulfillment & Logistics can help with your coupon and rebate processing needs. We will get the refund checks to your customers quickly. We can develop reports and controls to insure the validity of the requests received so that you do not pay out money for ineligible requests. Use our staff and technology assets to make your businesses rebate processing more profitable for your business. Find out more today. If you need assistance getting your website up and running we have the resources to help you design a custom site, a template driven site, or an e-commerce site. We work with the experts in the field on a daily basis. Leverage our experience for your benefit when it comes to getting on the Web.